Jeanette Brown served as president of the Water Environment Federation (WEF; Alexandria, Va.) from 2010 to 2011. Currently, she teaches environmental engineering courses for both graduates and undergraduates at Manhattan College (Bronx, N.Y.). Prior to that, she was executive director of the Stamford (Conn.) Water Pollution Control Authority. Brown, WEF member since 1976 and WEF House of Delegates member from 2004 to 2007, has served as member or chair of several WEF committees including the Operations Challenge, WISE Committee-Developing Guidelines and Training for Wastewater Security, Municipal Wastewater Treatment Design, Program, and Technical Practice committees as well as WEF’s Community of Practice for Microconstituents. She also served as the facilitator for WEF’s HOD Strategic Planning Sessions and Governance. She currently is chair of WEF’s Operator Strategy Workgroup. 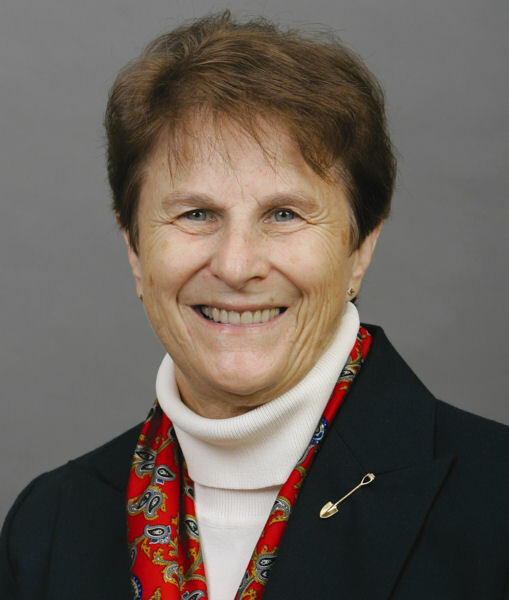 Brown also has co-chaired and authored several WEF publications including Manuals of Practice and training courses. She has presented a series of WEF webcasts on wastewater operations, published numerous papers, and made many presentations at WEFTEC and other water sector events. Brown has been an active member of, and served in various leadership positions at, the New England Water Environment Association (NEWEA; Woburn, Mass. ), the American Academy of Environmental Engineers and Scientists (AAEES; Annapolis, Md. ), and the American Society of Civil Engineers (Reston, Va.). She also has received numerous awards including WEF’s Hatfield Award in 1986 and Public Educators Award in 2003; NEWEA’s Operator of the Year in 1988, Alfred E. Peloquin in 2000, and Public Educators Awards in 2002, U.S. Environmental Protection Agency Region 1’s Merit Award in 2007, AAEES’s Edward J. Cleary Award in 2008, and the ASCE Environmental & Water Resources Institute Service to the Institute Award in 2012. Brown is a licensed professional engineer, board certified environmental engineer by AAEES, diplomate through the American Academy of Water Resources Engineers (Reston, Va.), Class 4 wastewater treatment plant operator, and Class 4 collection system operator. She has a master’s degree in Environmental Engineering from Manhattan College (Bronx, N.Y.). A little more than a year ago, I was asked to chair the Water Environment Federation (WEF; Alexandria, Va.) Operator Strategy workgroup. I was honored because operators are a key element in protecting public health and the environment, and I want to do whatever’s necessary to ensure we have the best trained people working in these positions. We can have facilities with the best designs and the best equipment, but if we do not have well-trained operators, we cannot guarantee that these facilities will perform as expected. As we move toward the utility of the future, we must have operators of the future who are ready to control and monitor more sophisticated processes and equipment. We have changed from wastewater treatment plants to water resource recovery facilities. We now are factories for manufacturing energy, recovering nutrients, and creating water suitable for any purpose. We are a very different sector now and that will continue to change with each passing year. The Water Environment Federation (WEF; Alexandria, Va.) recognizes the importance of operators to our sector and created this workgroup with the charge to develop a strategy to educate and train operations personnel. We have been extremely fortunate in populating the workgroup with people that have expertise in operator training and understand the current as well as future needs of our industry. I am honored to work with the steering committee members Stacy Passaro and Mike Kyle as well as the other workgroup members Philip Ashcroft, Gary Burrows, Rhonda Harris, Ken Jacob, Steve Motley, Logan Olds, Jim Pyne, Christine Radke, Kim Riddell, Matt Ries, Rob Villee, and Chuck Weir. One of the workgroup’s first projects was to evaluate the information that WEF has collected from various surveys and focus group meetings. We discovered several critical gaps in available data and determined that it was necessary to conduct an additional survey. Although most people groan when they hear that word, this is a necessary step to ensure that we have the right data to make decisions. The survey will target utility managers, and others who make staff professional development decisions, at facilities of all sizes and complexities in the U.S. and Canada. We will ask questions such as where do you get your training, what is your training budget, can you send people to conferences, and what is your preferred method of operator training. I encourage all utility managers to participate in this survey. Taking the few minutes to provide answers can result in huge returns and ensure the best opportunities for your operators. Through the WEF House of Delegates (HOD), we are working with Member Associations (MAs) to encourage participation in the survey and also to help us understand their role and needs in operator training. This is an important partnership between WEF and the MAs. The HOD has been working on operator issues for several years and their input into this process has been extremely beneficial. We also will be concentrating on developing a knowledge framework addressing what operators need to know now and in the future. We hope to determine the baseline knowledge that might allow for better reciprocity since we live in a very mobile society. As you look from state to state, there are different requirements, different grades, and different certifying agencies. We need to standardize on at least a skill set that all organizations can agree upon and accept. Do we need some national standard for certification? What is WEF’s role in operator training, education, and certification? WEF produces high quality, peer reviewed training documents that are, in my opinion, the best money can buy. But, do we need more and different formats or different delivery mechanisms? If we produce the training documents, does WEF conduct the training, or do we partner with MAs, or companies to conduct the training? A recent survey by the Department of Labor indicates there will be 20,000 jobs becoming available in the water sector during the next few years. This does not include positions opening by the retirement of Baby Boomers. It will take a major initiative to fill these positions with well-trained operations personnel. However, I believe that with the commitment of WEF and the MAs, we will develop programs that will ensure quality operations personnel will fill these vital positions.